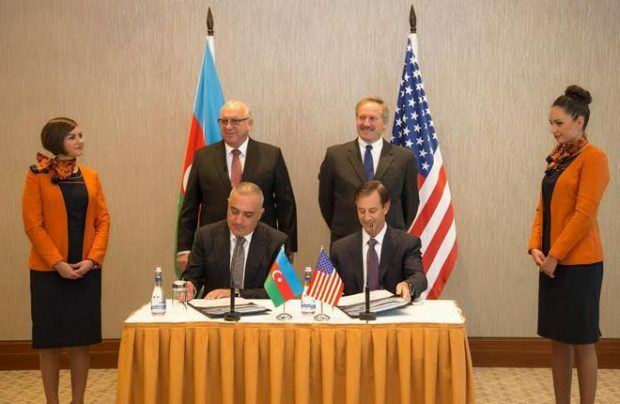 Azerbaijani carrier Silk Way Airlines, subsidiary of privately owned Silk Way holding company, has placed an order with Boeing for 10 factory-new 737 MAX-8 narrowbody airliners. The value of the contract may reach $1.1 billion dollars, the OEM reports. The order appeared on Boeing’s backlog some time ago, but the customer has not been disclosed until now. The cargo carrier operates seven Russian-built Ilyushin Il-76 transport airliners. It is now purchasing the 189-seat 737 MAX 8 passenger aircraft for its new project. The airline is planning to lease them out under operating and financial lease contracts. Silk Way President Zaur Akhundov says this is a promising business. The first two aircraft are scheduled to arrive in Azerbaijan in late 2018, with subsequent deliveries to continue until the end of 2020. No information has been disclosed on Silk Way Airines’ potential lessees. The preliminary agreement on the 10 Boeings was reached at last year’s Farnborough Airshow. Silk Way Airlines has placed orders for Boeing aircraft before. Five 747-8F and three 747-400F freighters are currently operated by Silk West holding’s cargo division Silk Way West Airlines. According to the latest data, Boeing’s 737 MAX backlog currently stands at 3,703 aircraft, including those ordered by Russia’s S7 Group. The MAX 8 version has already been certified; deliveries are expected to begin in Q2 2017.